Have you ever wondered what goes on inside someone else’s head? If you’re nodding your head "no" -- one, you’re lying and two, what if you were able to get inside someone’s head only to figure out just how they manage to do all that they do, and do it well? Hardly anyone would turn that down, especially if it was to get inside the head of none other than Kevin Hart. But thanks to MTN DEW KICKSTART, you can now get a solid 15 seconds inside of Hart’s head. “Prioritizing is key. You can say you want to do a lot of things, but not be able to do them all at a high level. For me, keeping my head in the game means maintaining focus and a high level of concentration or prioritizing. I don’t want to just do things just to do them. These things need to make sense, they have to align themselves with me and my brand and my vision … There’s a great merger there … the whole idea of keeping your head in the game. It fit with me, my personality and my drive." 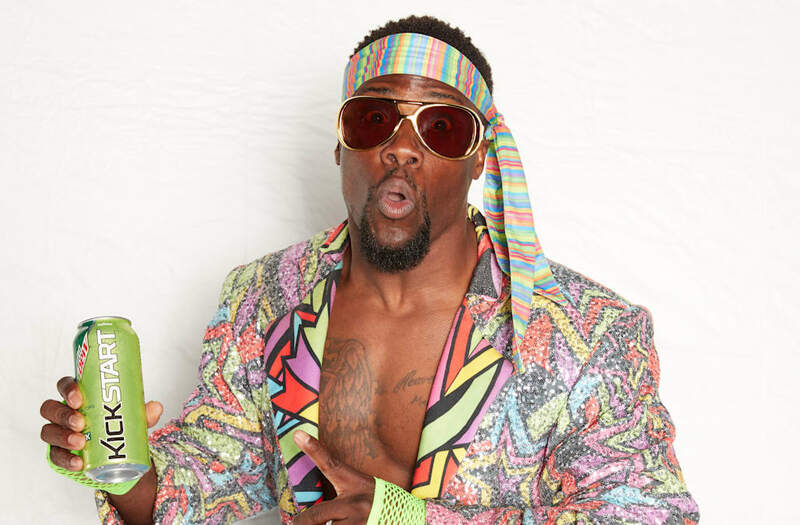 The commercials (which mark the first time consumers will get to see Kevin on-screen as the face of MTN DEW KICKSTART) are part of a year-long partnership between the comedian and the brand. Hart elaborated that a major player in his natural cohesion with the company is MTN DEW KICKSTART’s strong relationship with the NBA and how it aligns with Hart’s own love for basketball.